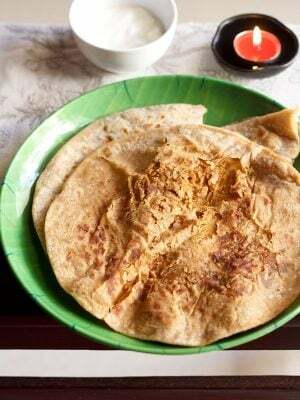 rajgira roti or rajgira paratha is a healthy gluten-free flatbread made with rajgira atta or amaranth flour for fasting. 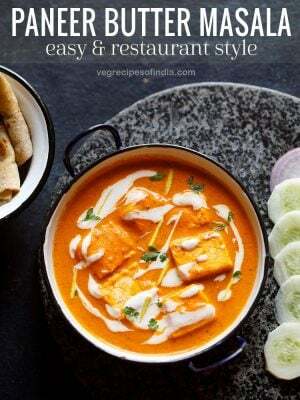 rajgira paratha recipe with step by step photos – healthy gluten free flat breads made with amaranth flour or rajgira flour. 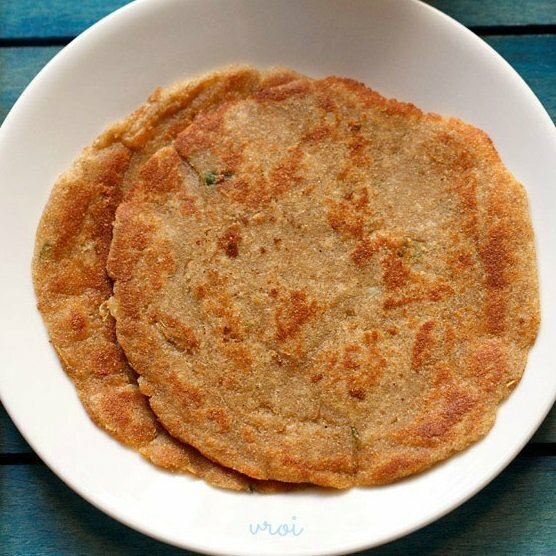 usually rajgira paratha are made during fasting or vrat days. rajgira is one of commonly used ingredient for religious fasting. 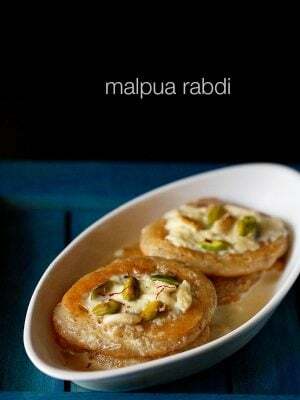 apart from these parathas you can also make rajgira ki poori and rajgira kheer recipe. 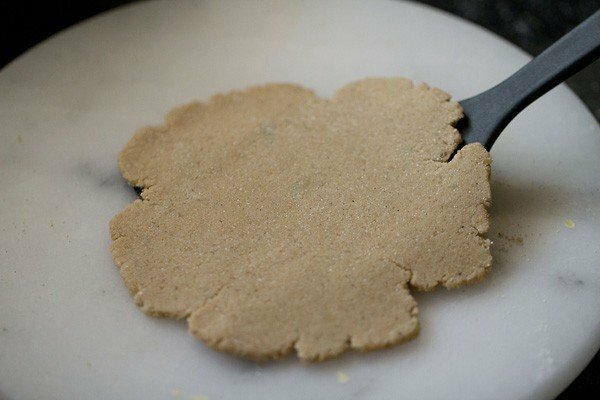 since there is no gluten in amaranth flour, rolling can be a bit tricky. i have shown two methods in the step by step pics below for rolling. choose whatever method suits you. another tip is to add bubbling hot water instead of potatoes. mix very well and cover the flour mixture. when slightly hot then knead the dough. 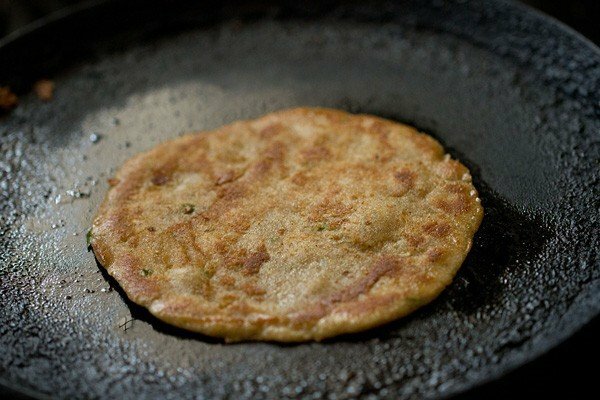 since we like potatoes, i always add them in these parathas. but when making rotis with some other non glutinous flour, i add hot water and knead. 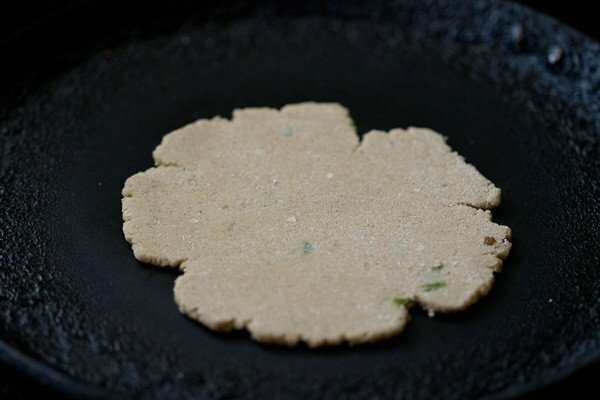 these amaranth paratha can be made even during regular days. they are very healthy as amaranth or rajgira are healthy grains. since they are grown locally in india, they are easily available and not expensive. 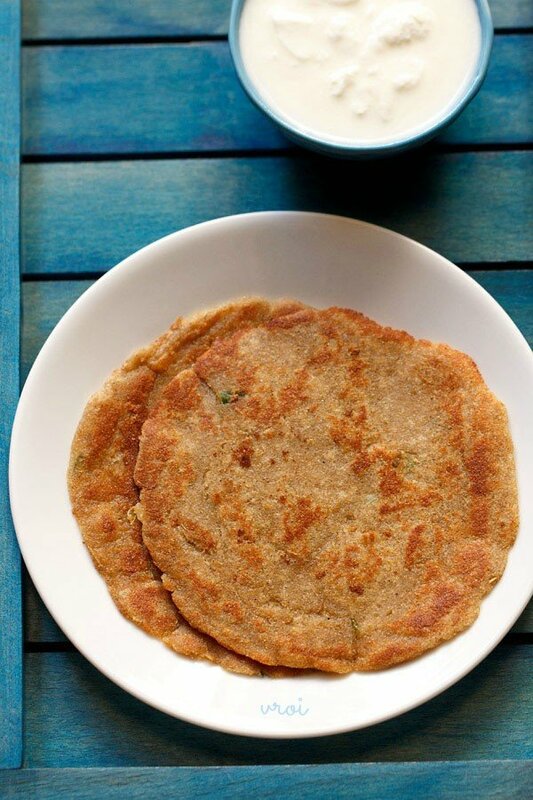 these paratha stay soft even after cooling, so they make a nutritious tiffin box snack too. rock salt (sendha namak) as required. used specially for religious fasting days or vrat. first boil 2 small to medium potatoes in a steamer or pressure cooker till they are thoroughly cooked and of a mashable consistency. 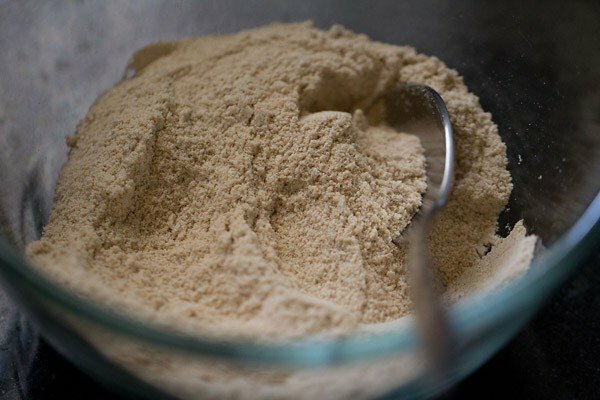 in a pan or bowl take the amaranth flour. 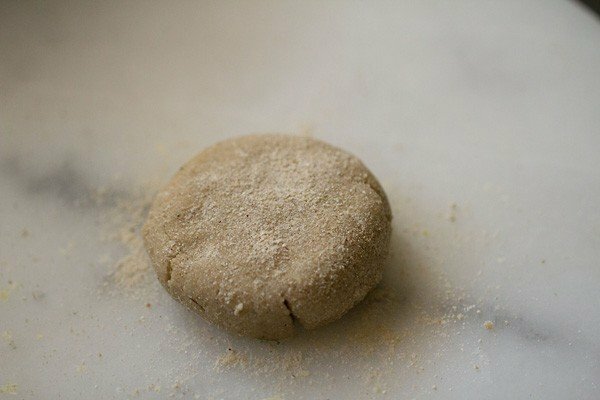 i ground the flour at home using raw amaranth grains. 1/2 cup of amaranth grains yielded about 3/4 cup flour. when the potatoes are slightly hot, peel them. then mash them lightly and add to the amaranth flour. then add the crushed green chili paste, cumin powder and rock salt (sendha namak). you can also add some chopped coriander and ginger paste. mix everything well. add 1 or 2 tbsp water in parts and knead to a smooth dough. the addition of water depends on the quality of flour. hence add as accordingly. make sure you don't add too much of water. allow the dough to come at room temperature as it will be slightly warm due to the addition of the hot mashed potatoes. 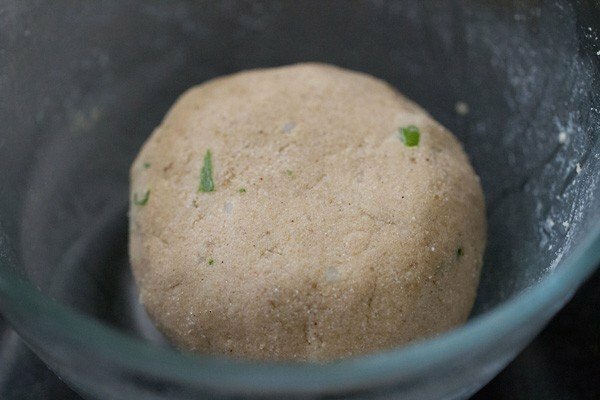 make a small or medium sized balls from the dough. dust with amaranth flour. 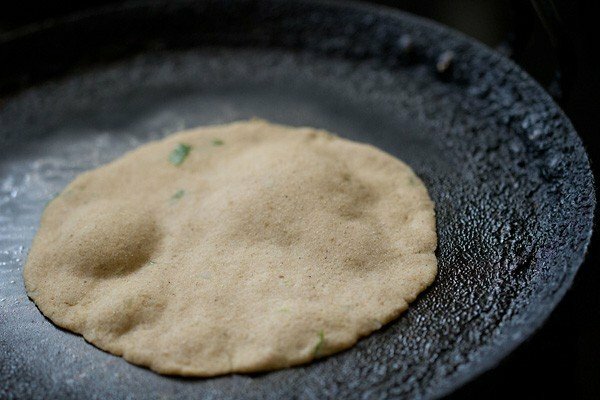 roll to a small or medium sized paratha. while rolling add some more flour if required. then gently lift up with a spatula and fry the paratha on a hot tava. keep a moist kitchen cotton napkin or towel on your workplace. 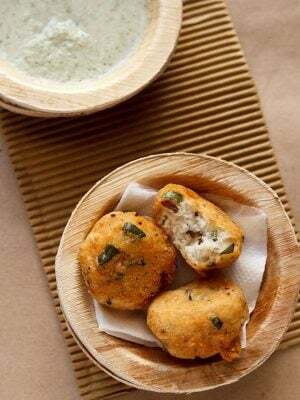 take a small or medium sized ball from the dough and place it on the moist kitchen cloth. with your palms or with your fingers, gently press the dough ball and flatten it till till it increases in size. the edges come out neat this way and are not uneven. now gently remove the paratha from the cloth or place the cloth upside down on a hot tava and peel of cotton cloth. i do the first method of removing the rajgira paratha from the cloth and then placing it on the hot tava. one side is partly cooked, flip with the help of spatula. 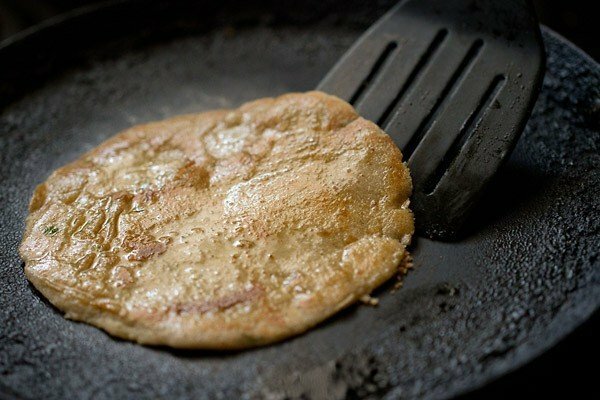 use a non-stick pan or well seasoned pan as the paratha might stick. apply ghee or oil on this side. flip again. apply ghee or oil on this side. 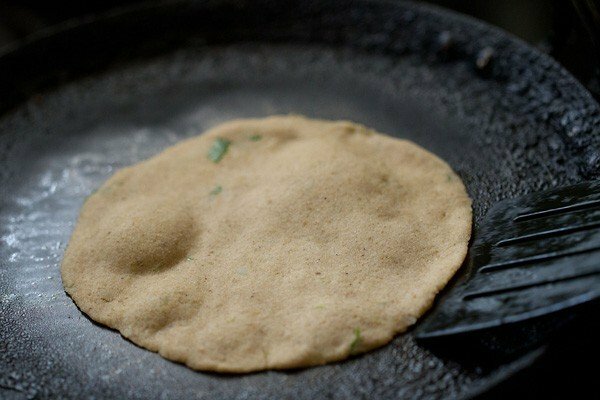 flip a couple of times till the rajgira roti has become evenly golden and roasted evenly. 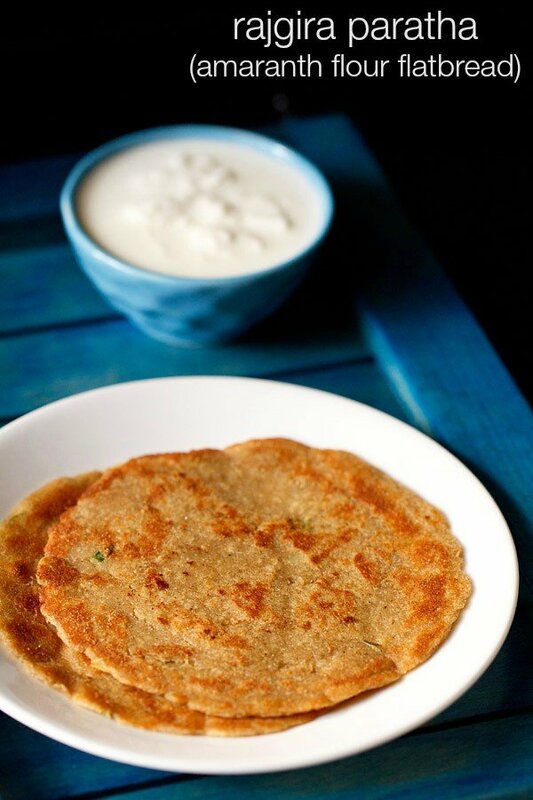 serve these rajgira roti hot or warm with curd or any curry meant for fasting. 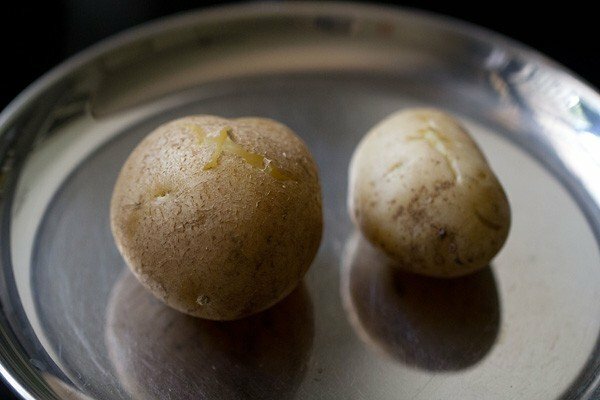 1. first boil 2 small to medium potatoes in a steamer or pressure cooker till they are thoroughly cooked and of a mashable consistency. 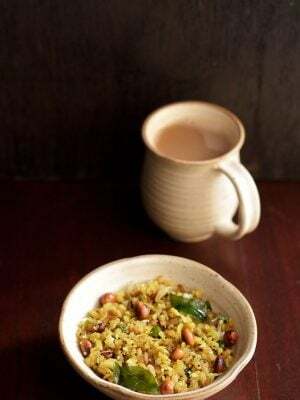 2. in a pan or bowl take the amaranth/rajgira flour. 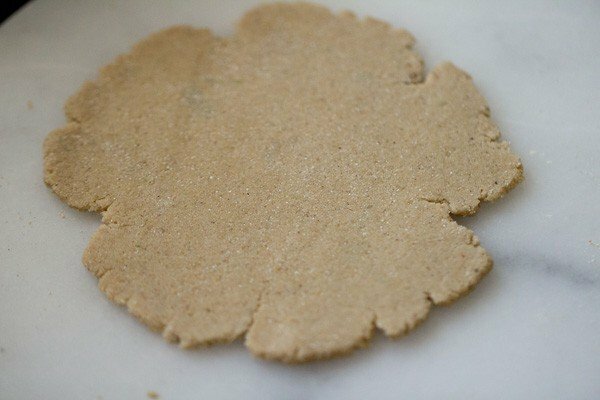 i ground the flour at home using raw amaranth grains. ½ cup of amaranth grains yielded about ¾ cup flour. 3. when the potatoes are slightly hot, peel them. then mash them lightly and add to the amaranth flour. 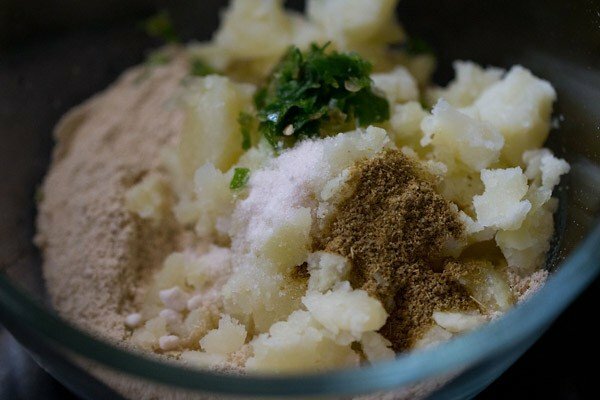 then add the 1 to 1.5 tsp crushed green chili paste, ½ tsp cumin powder and rock salt/sendha namak. you can also add some chopped coriander and ginger paste. 5. add 1 or 2 tbsp water in parts and knead to a smooth dough. the addition of water depends on the quality of flour. hence add as accordingly. make sure you don’t add too much of water. 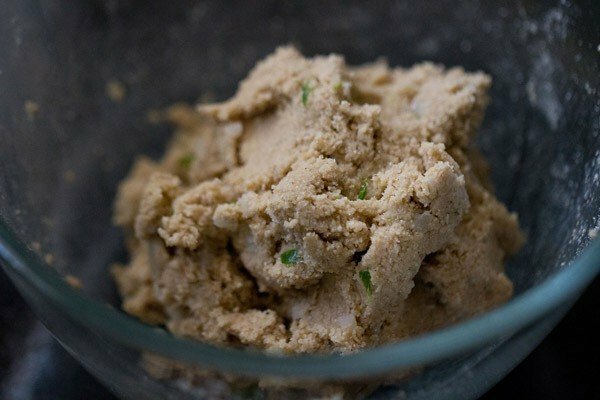 allow the dough to come at room temperature as it will be slightly warm due to the addition of the hot mashed potatoes. 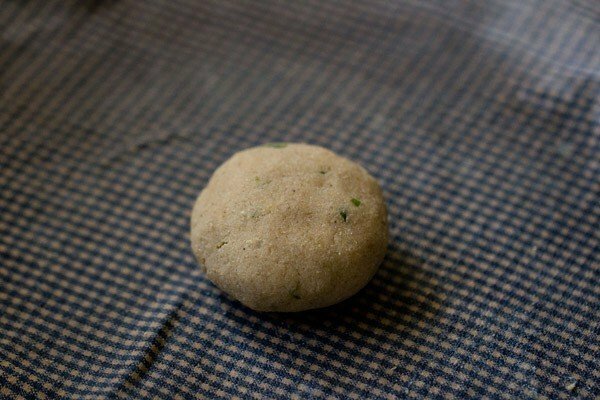 1. make a small or medium sized balls from the dough. dust with amaranth flour. 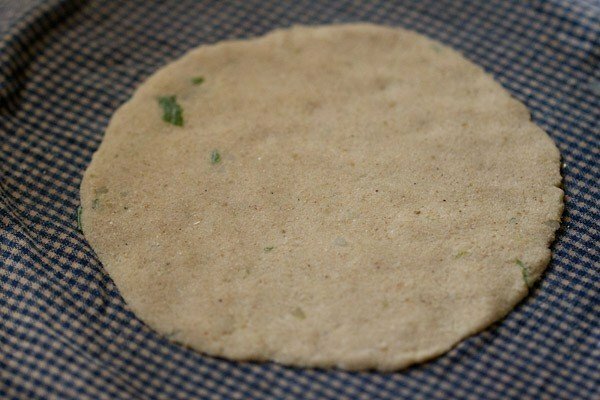 2. roll to a small or medium sized paratha. while rolling add some more flour if required. parathas rolled this way have uneven edges. you can also roll keeping the dough ball on top of a zip lock bag. 3. then gently lift up with a spatula. 4. and place the paratha on a hot tava. 1. keep a moist kitchen cotton napkin or kitchen towel on your workplace. take a small or medium sized ball from the dough and place it on the moist kitchen cloth. 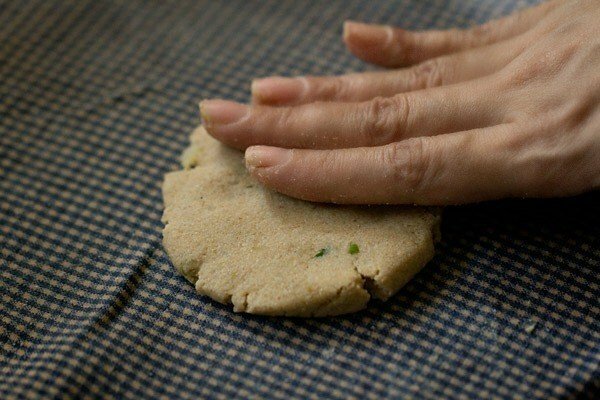 2. with your palms or with your fingers, gently pat the dough ball and flatten it till till it increases in size. 3. the edges come out neat this way and are not uneven. 4. now gently remove the paratha from the cloth or place the cloth upside down on a hot tava and peel of cotton cloth. i do the first method of removing the paratha from the cloth and then placing it on the hot tava. 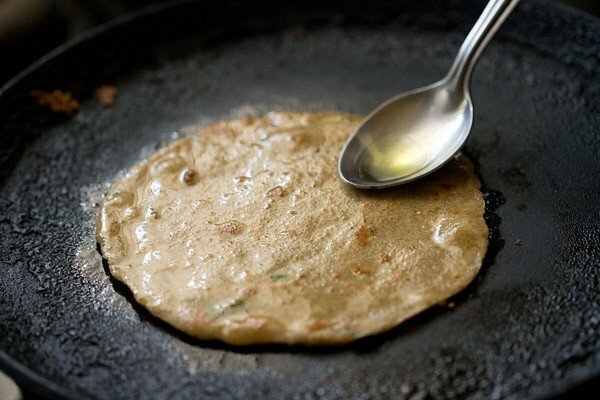 5. when one side of paratha is partly cooked, flip with the help of spatula. 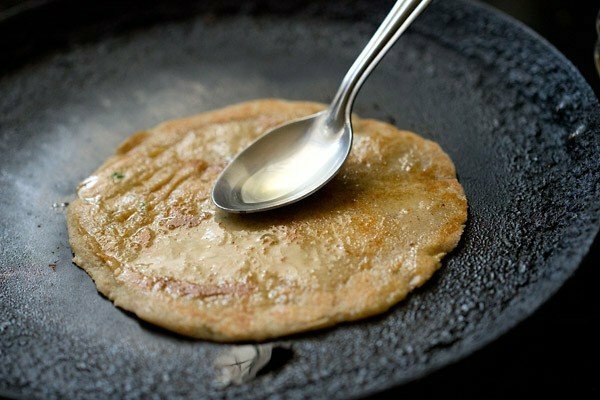 use a non-stick pan or well seasoned pan as the paratha might stick. 6. apply ghee or oil on this side. 8. this is the second side which has got browned at some spots. 9. apply ghee or oil on this side. 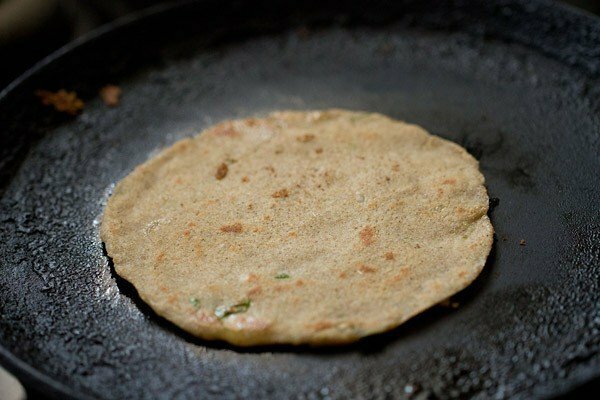 10. flip a couple of times till the rajgira paratha has become evenly golden and roasted evenly. thanks ketaki for the review and the suggestions. adding any flour meant for fasting is perfectly doable. yes mashed potatoes do help in binding. no they are not. rajgira does not have a bitter taste. it has a slightly nutty flavor. Annapurna, I will try to add. 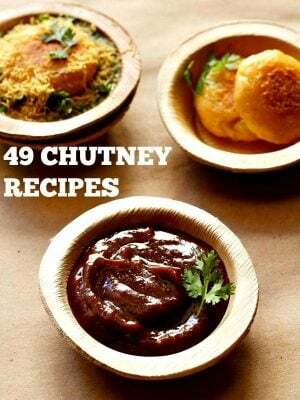 Can you please add any Rajgira recipe which is dry and can be carried in tiffin and remains in good condition till evening time? i have taken a note of your request and will try to add. Farali flour available ftom the shops is a blend of all the different farali flours,rajigaro,singoda and samo…..do you know what proportions the different flours make up the blend? no sujata i do not know. usually i use only one flour or two different farali flours in half-half proportion. Where do u get the flour in USA ? try in a local indian grocery store. if you don’t get, then buy amaranth grains and grind them as required in a mixie to a fine powder. you should be able to get amaranth grains easily there. 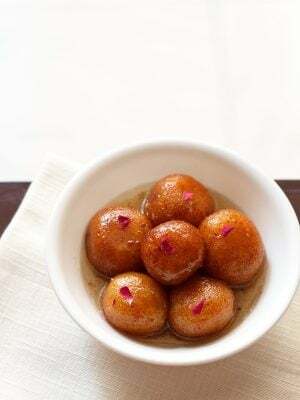 Where to buy Rajgira in Delhi?? ambica, in a good super store. you might get it locally also in kirana shop.